Edina is a beautiful city in the suburbs of the Twin Cities.The city’s population is relatively small and itsarchitecture is a mix of new and old (mostly). With time, the need for renovating and repairing old buildings has grown. As the roof of the house is the one part that directlyfaces up tothe sun and the elements, it is often also the one part that gets most affected by them, usually quicker than other areas of the house. As such, the need arises for repairs or renovations. Many people are capable of doing these repairs, but it is always a wiser decision to let professionals do the work. Though it can cost a littlemore than doing it yourself or leaving it to a friend, you will be left with a roof that will last for a much longer time. 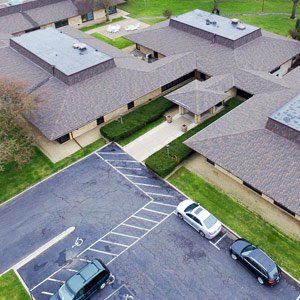 Choosing a roofing contractor Edina MN to do the job can be a bit of a daunting task, but it can be easier if you know the questions you need to ask different contractors before you choose one for the job. It is important for you to know the type of material that the contractoris going to use to rebuildor repair your roof. Make sure that you know about and like whatever is being used. There are many different options available, from tiles tometal. Do a little research beforehand so that you can discuss the optionsavailable to you and choosethe one that will best suit your tastes and the style of the house. This is an imperative question to ask if you want to be sure that theroof willlast a long time and is strong enough not to cause you any trouble going forward. There are various levels of qualityavailable and, of course, the best quality material will cost more than others. A better quality material does, however, makes the roof durable, reliable and robust, ensuring that it will stay intact for many years to come. 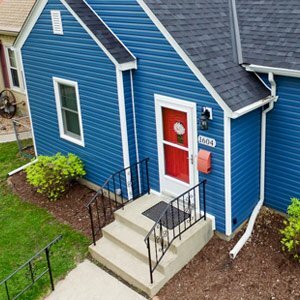 What is the Damage to the Roof? You need to know this in detail as you are getting your entire roof checked. Since it is your house, you should keep yourself updated as tothe full extent of the damage and the repairsthat needs to be carried out. This only applies to roofs that need repairing. The cost of repairing a roof and the cost of rebuilding a roof will be very different, of course; one will cost less than the other. If you have a budget in mind already, then do a little research on how much a roofing constructor will cost and whether you can afford the options they have suggested. Try getting rates from a range ofcontractors as each will be different. Go with the one that best suits your budget and offers the best value for money given the quality of their work. You can also tell your contractor that you are willing to spend X amount of money on the roof and that they should try their best to make sure that the cost remains within that range. Continue reading about Roofing Contractors in Richfield, Minnesota.